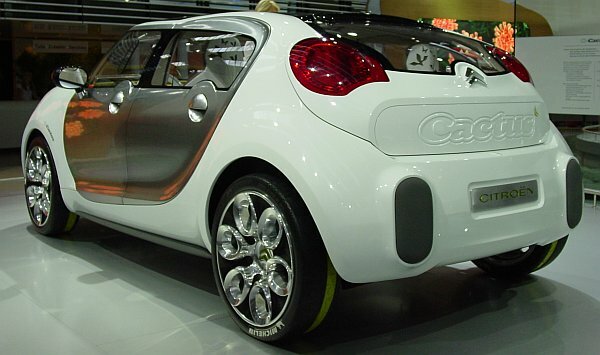 At the 2007 International Motor Show at Frankfurt, Germany, Citroën presented the C-Cactus. 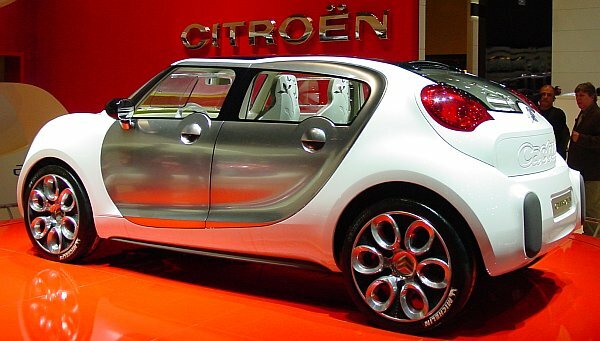 Citroen marks every "Concept" with an additional "C" in front of the model-name. to reduce parts for saving costs, and energy. 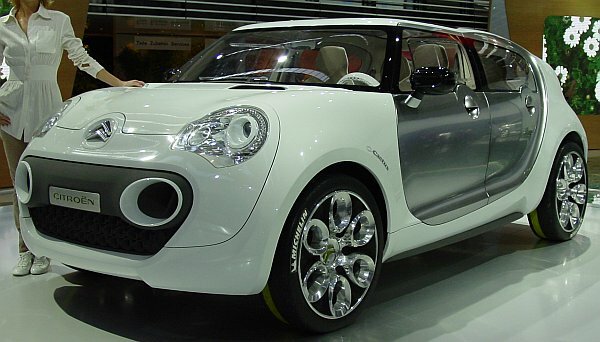 For example: the same part is used as front-mask (including the headlights), and for the rear (containing the taillights). The interior was reduced to the minimum of parts. 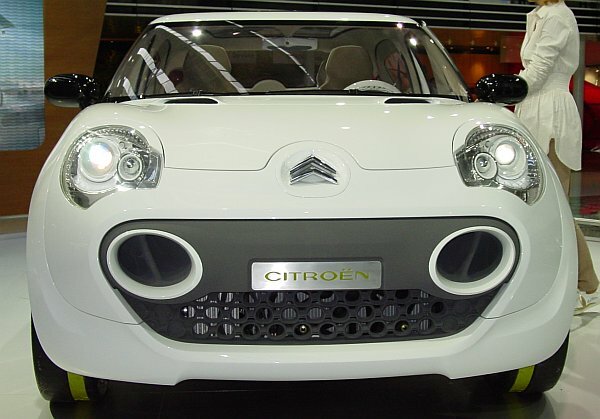 For that reason, the C-Cactus doesn't show a dashboard. The necessary information can be found between the seats, or in the center of the steering wheel. 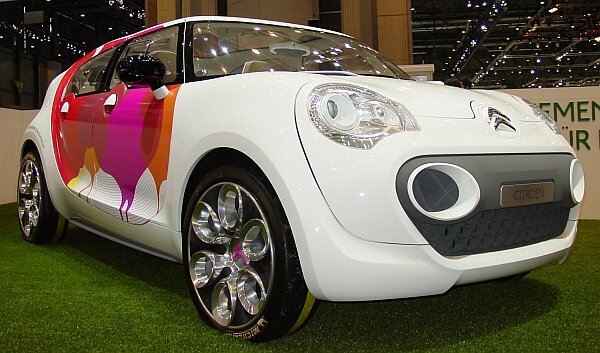 The Cactus is powered by a HDi-engine with 70hp, plus an electric-engine with 30hp. That way the car can act as a zero-emission-vehicle in the city. which was powered by electricity only. 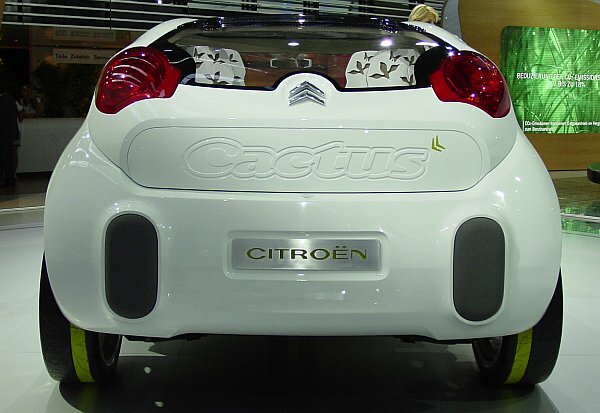 That way, the Cactus is a "Zero-Emission"-car. 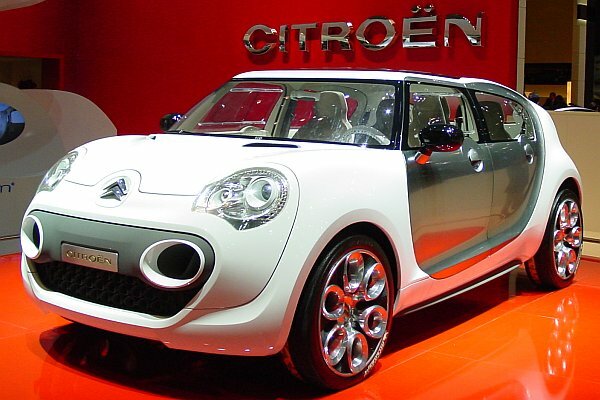 Citroën also modified the exterior slightly. red on the other side, symbolising the love for cars.